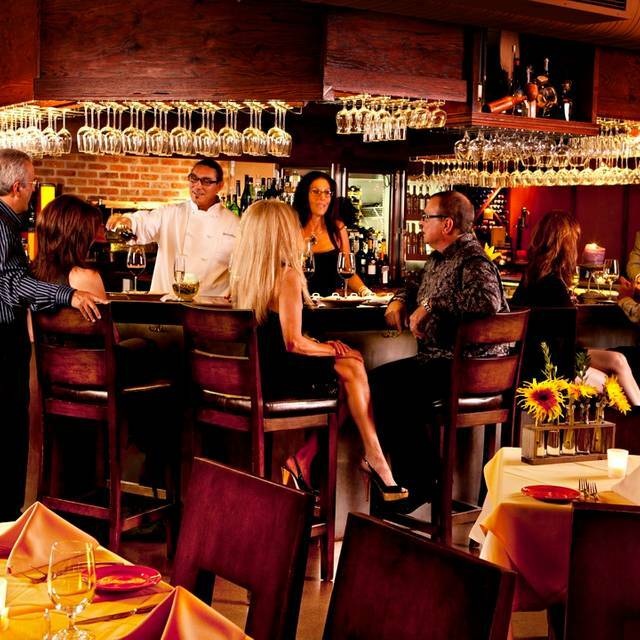 You must make reservations at least 5 minutes in advance of the time at Marcellino Ristorante. We will be closed for summer vacation July 16th through August 2nd, Re-open August 3rd for dinner at 4pm. Downtown Scottsdale's free, public 'Olley the Trolley' -- running every 10 minutes from Scottsdale Fashion Square and numerous stops throughout Old Town. Hospitality Trolley: Between several nearby resorts and the downtown area, runs January-March only. BAR: Ideal for solo dining or 2-3 guests short on time. C.E., David & Lucky are delighted to pour your preferred vino, shake up your favorite cocktail or tempt you to try something new. TO GO: Call ahead & we'll have it ready at the time you specify. Dream of celebrating your Wedding, a special Anniversary, or milestone Birthday in Italy? Taking 50 or 100 of your closest family & friends to the Italian countryside may be a fantasy, but having Chef Marcellino bring authentic Italian cuisine to your location is entirely possible. Have a festa all'italiana right here in Arizona, no passports required. The secrets of authentic Italian cuisine are proudly showcased by the man who creates the most innovative dishes this side of heaven. Let Chef Marcellino mesmerize your palate any night of the week with hand-crafted, naturally flavored pastas [saffron, squid ink, cacio e pepe, etc. ]; heaps of crustaceans; wild game; reduction sauces; seasonal truffles and more. Seeking simplicity? Scialatielli alle Vongole. Comfort food? Gnocchi so light and sumptuous they'll make you sigh. Decadence? Porcini-infused Fettuccine, sautéed with generous amounts of lobster, shitake mushrooms and a white truffle drizzle. Vegetarian: Fettucine Contadina with a dollop of ricotta. Vegan and no-gluten options available; please allow extra preparation time or provide advance notice if possible. 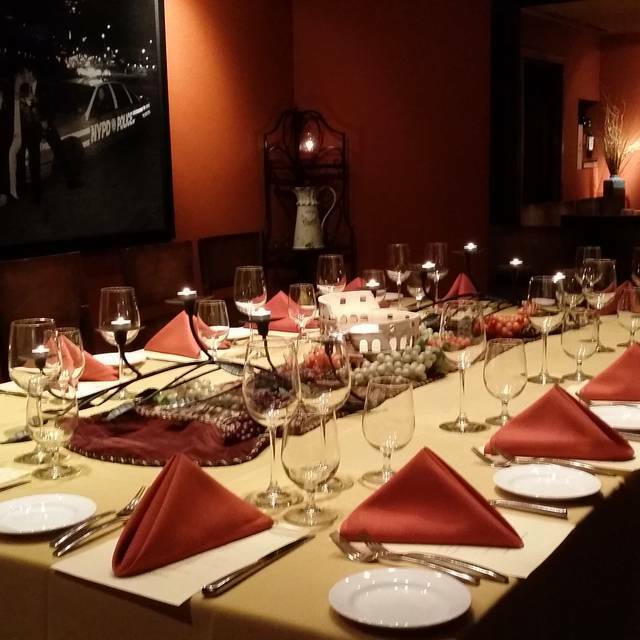 Celebrate your next occasion with us, and share the delicious, old-World elegance of a Marcellino experience with your family & friends! 12pm – 3pm. Chef's Full Menu Available Daily! Lovely outdoor patio setting in Old Town Scottsdale. Very poor, very slow arrogant server. We have been dining here for years. Love everything about it . From the Hostesses to the servers to the chef himself we are always treated so well. If you enjoy homemade pasta look no further !!! Consistency every time ! Order from the plate of special pastas !! You won’t be disappointed! Great attention from our waiter Shannon... personal service from the owner ... outstanding food and wine! A great spot if you love Italian food served in an old world way! Porcini pasta to literally die for! The veal gorgonzola was spectacular. It was my wife’s birthday and she had salmon in porcini powder and it was perfectly cooked moist and flaky. She enjoyed. For desert imported Italian gelato; she had the hazelnut and I the pistachio she loved hers and what can I say, can’t get enough pistachio. We visit Marcellino's each year on our annual trip to the Phoenix area. We are consistantly happy with the quality of the food and the selections offered. It's very good but also quite pricey. Be prepared to pay for the high quality. Service was off despite a Monday reservation. Water glass was not filled during dinner, and a request for wine, twice, was never carried through or appropriately recognized. The waitstaff was not present during dinner for any additional requests. Food was good and ambiance perfect. The server refused to place our appetizer order until we were ready to submit our entire order. The server then brought my girlfriends 1st course - but not mine. I sat and watched her eat. Then he brought both my first and second course - along with my girlfriends second course. By the time I finished my first course - the second course was cold. When I confronted the waiter about these issues - he was defensive, rude and argumentative with me. My girlfriend spoke to the chef/owner - who said sorry but didn’t offer to comp our food - despite our horrible experience. My gf then spoke to the manager - whom also did nothing. Then my gf spoke to chef/owner’s wife on the phone after we left, who ultimately offered to have us back. I don’t need all that drama when I go out to eat, nor does my gf want to talk to 3 different people about the horrible service we received. What a nightmare. We’ll pass on the return visit - I’d rather go to buca di beppo for a second class Italian meal, than go back here for another nightmare experience. Went in with high expectations, left extremely disappointed. Food is way overpriced for the quality/amount you get. Owner/hostess was very rude. Stay away. Save your money. Everything was outstanding except the noise level. The live entertainment was so loud, conversation was difficult. My wife and I celebrated our 37th anniversary there. We sat outside on their patio and it was wonderful. It is spacious and was very nice. There was an excellent band playing outside. The food, ambiance and service were as good as it gets. I would highly recommend it. We were celebrating my nephews birthday & I always enjoy taking him to new, delicious restaurants. The food overall was good, but not exceptional & absolutely not worth the price charged. I’ve dined around the world at excellent restaurants with high prices many times, & I was so disappointed with this experience. The ambiance was lackluster... with a Dolly Parton station playing for the 2+hours in the afternoon that we were there, when we arrived at 1pm on A beautiful Sunday afternoon, we were the only table at the restaurant. Food was way overpriced for what it was! I asked if they had bruschetta & they said they could make it. We received 4 untoasted pieces of bread with chopped tomato & basil, 4 - 1” cubes of Parmesan cheese on the side & 4 pieces of some type of meat. No olive oil, no balsamic, no toast??? Why offer to make something that I can make better when camping? I didn’t check the price they charged me, but I’m sure it was $15+ because desserts started at $14. I’m still in shock that lunch for 4 was over $200. Needless to say, it was a very disappointing dining experience & I will not recommend nor return. First restaurant I’ve ever been to that would not allow substitutions to the menu. Two in our party wanted to change the type of pasta and were told “ the chef won’t do that”. We were disappointed in the service. Fantastic service and food. 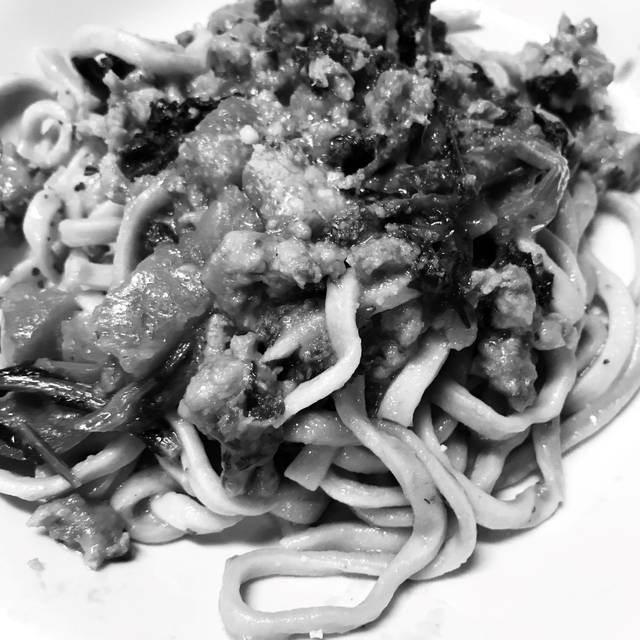 Best pasta dishes we’ve had in the area. Service was excellent as well. Never had to wait for anything. Yes, the food was fantastic, but our server was pretty awful. The food, setting, and ambiance totally wowed is. Would definitely recommend this place. I am always on the lookout for great Italian and this place certainly fit the bill. The location is ideal as it is right in Old Town Scottsdale and if you have never been here it is a great place to walk around after dinner. The restaurant is cozy and welcoming with a nice patio area to people watch as you wait. The menu was simple but yet had some great dishes, however after hearing about the nights pasta courses I opted for the black pepper pasta with red sauce. The dish was brought out and it was incredible and you could really taste the care that went into making it. While the price was a tad high for the portion size, to me it was worth it considering the pasta is fresh. Overall, I wouldn't hesitate to go back here as the service was just as wonderful as the food. Love this place. Great food and environment. Music is a bonus. We have been many times, it is our go to Restaurant for any special occasion or just a casual dinner. The chef is thee best in the Valley & his pasta is 2nd to none. 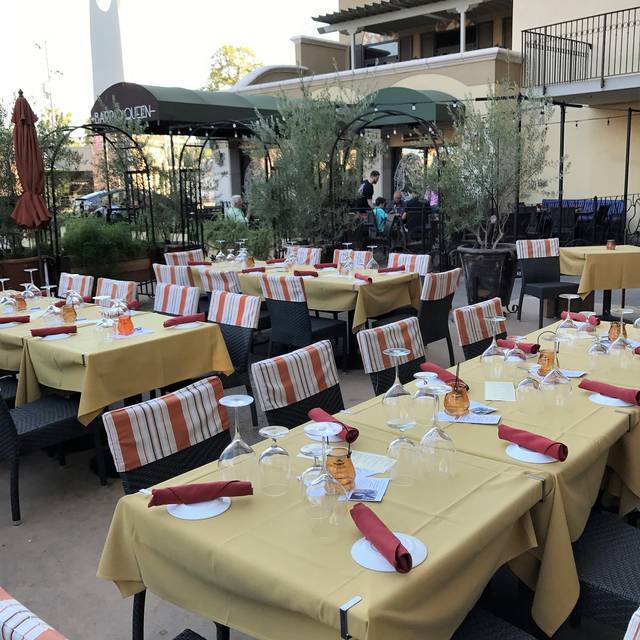 The Restaurant is set in a beautiful setting in downtown Scottsdale, and from when you first walk in the door to when you are served desert it is top notch & none better. 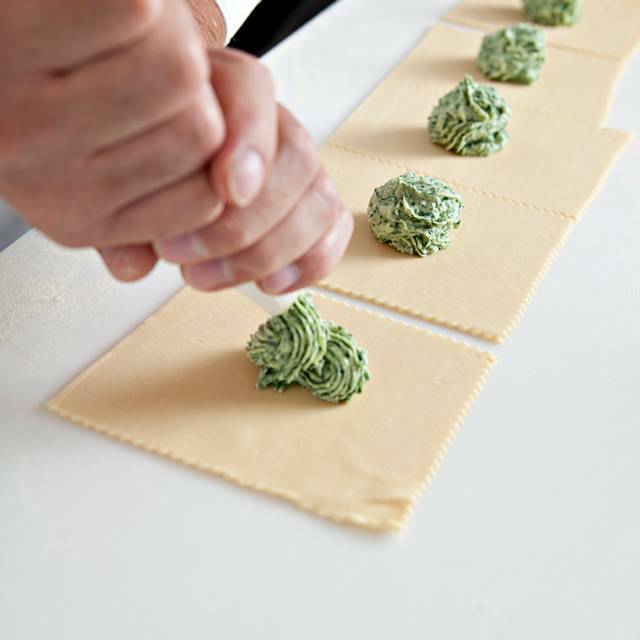 The chef's homemade pasta among his other menu choices are bar none hands down not to be missed. The chef & his wife are very hands on & available every time we have been there. Please do yourself a favor and make your reservations as soon as you get a chance. 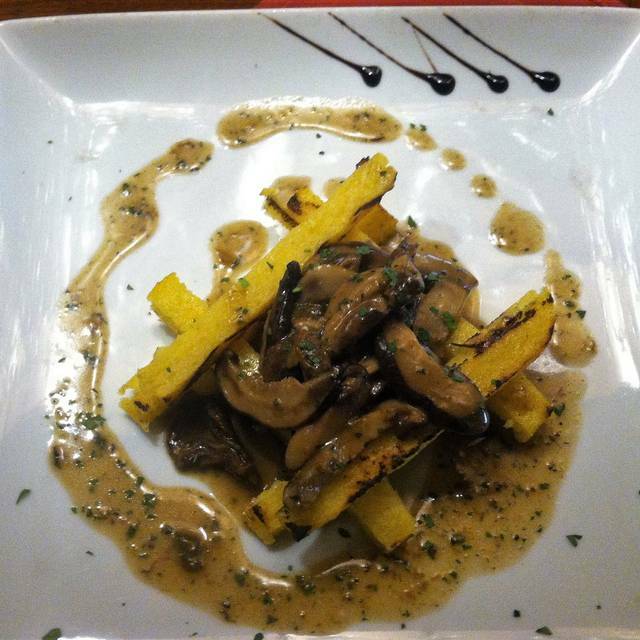 This was our third visit to Marcellino Ristorante, and we've yet to be disappointed. The room has a nice ambience, the food is great. The portions are just right. We had a cocktail, appetizer, entree, a glass of wine, dessert and coffee..yet didn't walk away feeling stuffed. It's on our "must do" list whenever we're in Scottsdale. Did not enjoy the pasta in the vongole. Thick and flavorless except for taste of flour. Waiter, A, knowledgeable, but not super respectful of customers - our second time here and our last. Great service and the food was awesome as usual. Outside seating was comfortable and not too noisy. My guest said that she felt that she was in Italy. We felt comfortable and satisfied after consuming full portions. We have been coming here on our annual trips to Scottsdale, I believe, for nearly 15 years. Marcelino has always been on the upper edge of pricing, even for upscale Italian, but has always been worth it for wonderful food and excellent service. We wondered in the early years if they could attract a clientele that would tolerate the prices, but that has proved to be no problem. The restaurant has flourished, and seems to continually attract new business. Our waiter on the most recent visit spent most of his time visiting with "regulars", and not paying much attention to customers that he was not familiar with, but even so, with the excellent staff of back-ups, we still had excellent service. Marcellino Ristorante was a great place to celebrate our anniversary. Low key, pleasant staff, excellent live music. The food was outstanding with reasonable portions and the owner was always visible to greet patrons. I would eat there any time I was in Scottsdale. The outstanding food and ambiance was equaled by our great server, James! Thank you for a wonderful evening in all respects....bravo! This is by far our favorite Italian restaurant in Arizona. We have been going to Marcellin's for a couple of years when we visit the area on business. 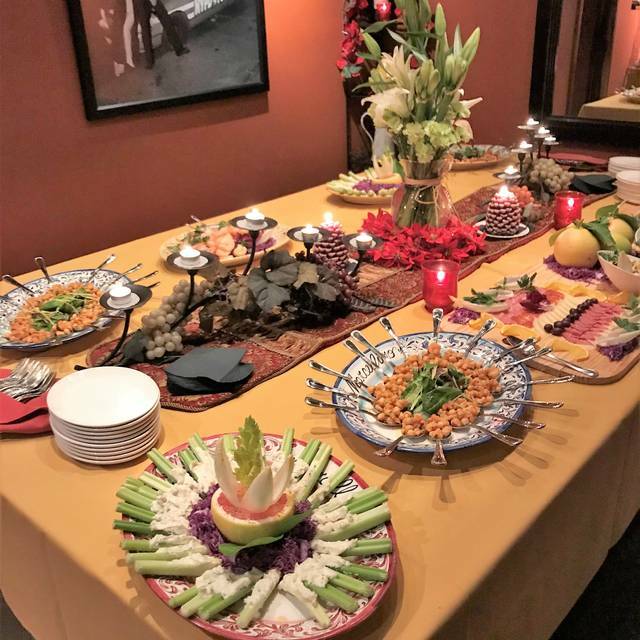 We hold dinners there with our clients and the overall service and food are exquisite. The chef always makes a point to visit our table after our meal to ask how everything turned out. A very personal experience. I would highly recommend as it is the best place I have dined at in Scottsdale! Excellent! Some of the best Italian food I've ever had. The waiters are attentive and very knowledgeable about Italian cuisine. The ambiance is quiet and romantic, perfect for our anniversary dinner. We had meals picked out on the regular menu, but it was hard to beat the chef's specials. 10/10! 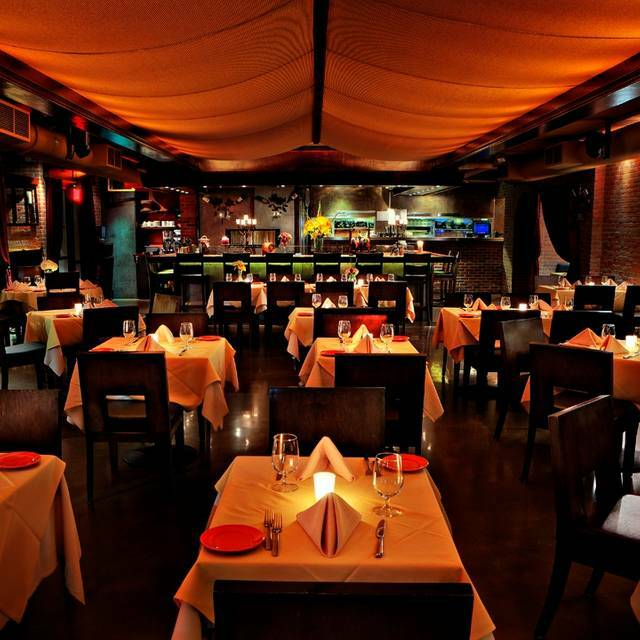 I was extremely satisfied with the quality of the food, nice ambiance and friendly staff. The past was cooked to perfection and the gnocchi melted on my mouth. I will definitely go back many times to come. Service was poor. We arrived at 7:00 pm. We left at 10:00. SLOW service. The staff was more concerned about the Chefs Birthday than they were the service. Specialty pasta dishes were average at best. Prices were silly high for the service. Band was ok, but so loud for a dinner service. Great if your just hanging out at the bar. Way better places in Old Town Scottsdale. Food and service were outstanding. The Hostess was TERRIBLE!! We almost left. The Hostess was rude. Great dinner with outside seating! 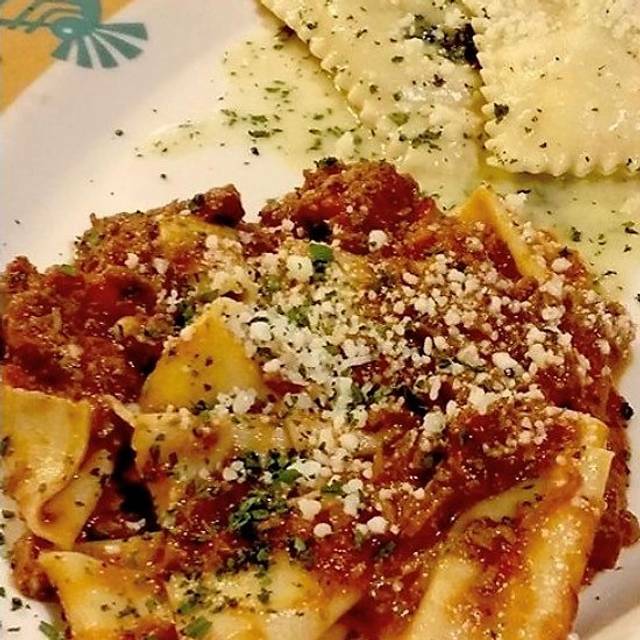 simply the BEST Italian in Arizona!